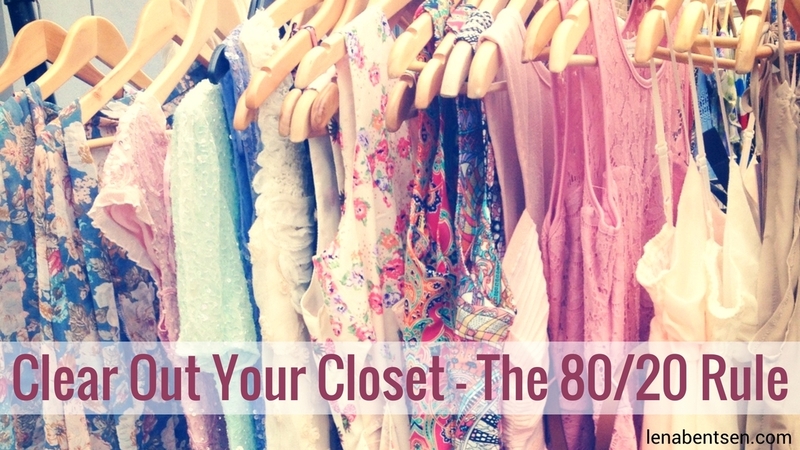 I would like to help you experience the beautiful feeling of freedom that comes from having a wardrobe holding only your very best clothing and accessories – your treasures. 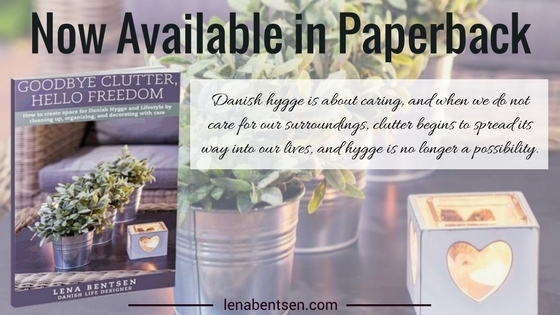 A wardrobe with only your treasures is a step towards Danish Hygge. 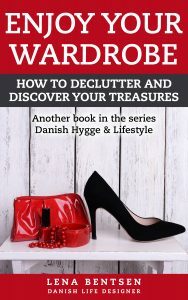 Since 2005, I have helped numerous families get a unique home with spirit, charm and Danish Hygge by cleaning up, organizing and decorating with care and I share the method with you in my latest book, Enjoy Your Wardrobe. Here are some short tips from the book. 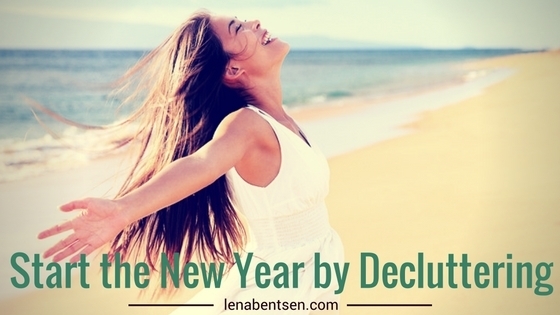 Why not start 2017 by decluttering? 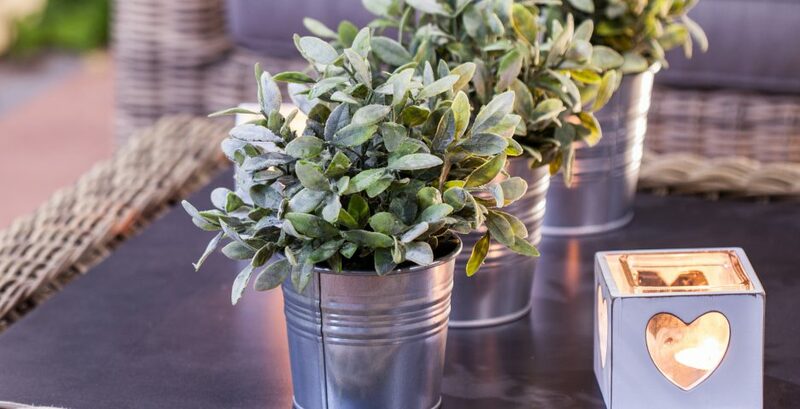 Caring about your home and your surroundings will allow you to experience the amazing feeling of freedom that comes from living in a home that reflects the best part of you! 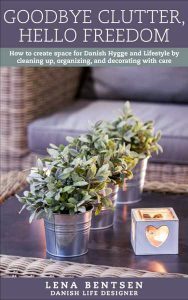 And by cleaning up and prioritizing your time so that you can keep yourself organized every day, you will find that you have much more time for fun and Hygge. And that’s what we all really want! 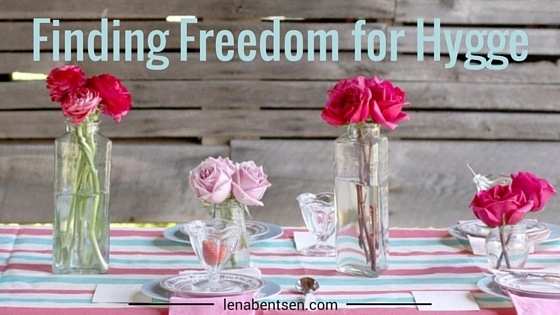 If you want to find out more, check out my book, Goodbye Clutter, Hello Freedom. I wish you all much love and hygge for 2017! 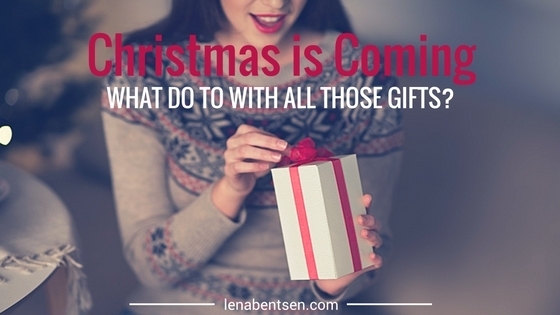 Christmas is Coming… what to do with all those Christmas gifts? Christmas is not only a time for giving, but also of consumerism. Of course we all love giving and receiving Christmas gifts, but before you rush out to start your shopping, consider what giving gifts might mean for your recipient. 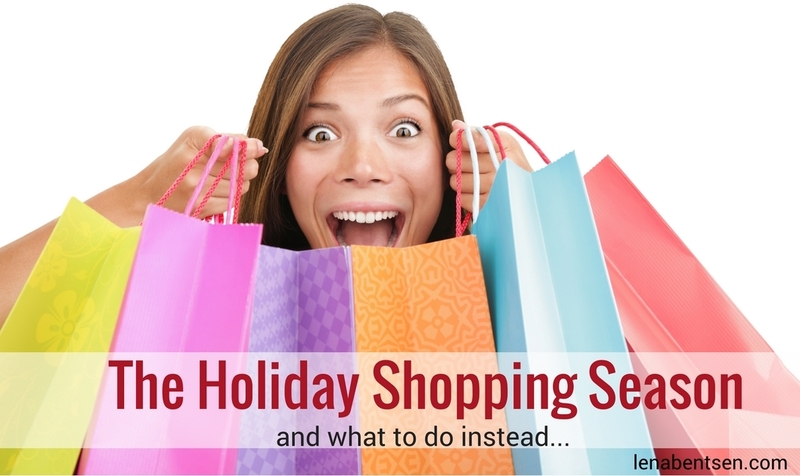 Rather than contributing to other people’s guilty clutter, why not rather buy gifts that can be exchanged or enjoyed, such as chocolate, bottles of wine, flowers, or other perishable goodies. 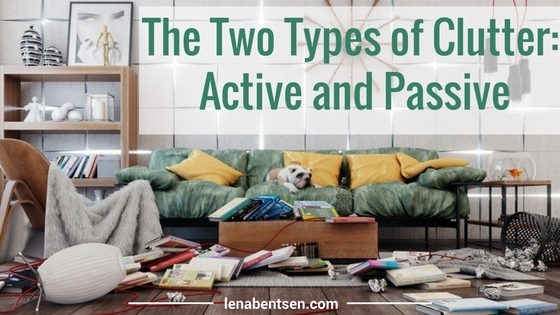 There are two kinds of clutter: Active clutter and passive clutter. 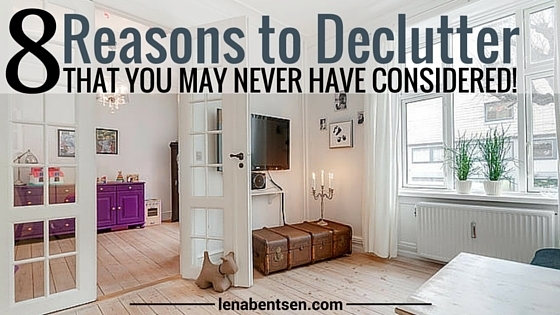 You probably have quite a lot of passive clutter in your home and you would like to do away with it. In the beginning, it was just a collection of different things that you were using. This is active clutter. They became passive clutter the very moment that you no longer needed them and forgot to put them away. That is how a pile of items actually turns into clutter. 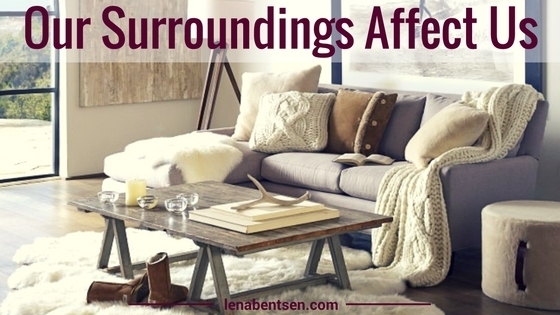 Whether we want to admit it or not, we are affected by our surroundings. The old saying, “clothes make a man” could just as well say, “surroundings make a man.” Our behavior changes according to our surroundings and circumstances. In a museum we walk nicely and quietly. On a picnic it is okay to fool around and get dirty. 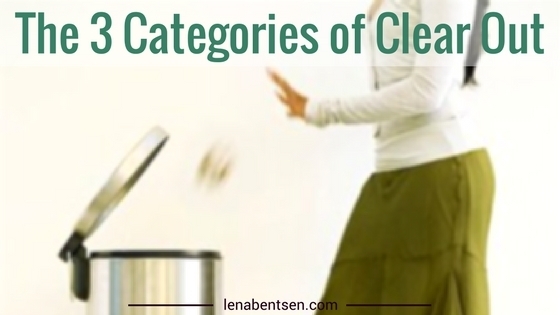 By learning some new techniques for thoroughly cleaning up and prioritizing your time so that you can keep yourself organized every day, you will find that you have much more time for fun and Hygge.